Welcome Health Book & Digest Club Members! New health books and articles, recipes and more are added each and every month to keep members up-to-date in their quest for a healthy lifestyle, --with a diversified, affordable library of health books and articles written by some of the world's best-known authorities on healthy living. 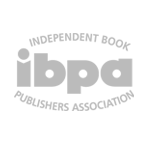 Club Members get unlimited access to health books, articles, healthy recipes and more. 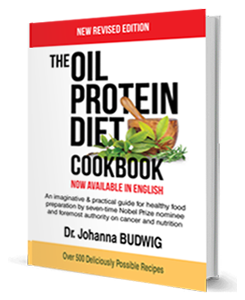 The original healthy food preparation guide with over 500 deliciously possible recipes. 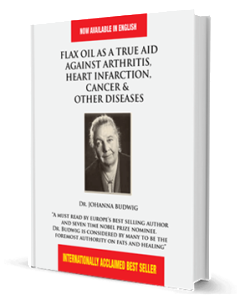 Flax Oil As A True Aid Against Arthritis, Heart Infarction, Cancer & Other Diseases. 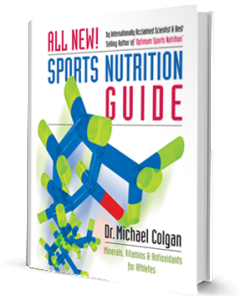 Dr. Michael Colgan explains the science of nutrition and its effects on genetic individuality. 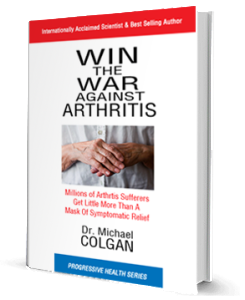 Learn how to prevent, and even defeat arthritis through nutrition -by Dr. Michael Colgan. We spend 10 -15 years bent over desks, work tables and computers learning to read, write and cipher, and to precisely manipulate small objects. Most of us then spend another 40 years or so earning a living in largely the same manner. Best selling author and world-renown expert on physical conditioning, Dr. Michael Colgan explains why proper posture is the foundations of a body's core strength. Whether you're an elite athlete, weekend warrior or you just want to exercise to stay in shape, readers will discover the correct stretching exercises for developing and maintaining the perfect posture --the key to optimal strength and physical functionality. Poor posture can impact your heart, lungs, bones and muscles, --and can greatly decrease the quality of life as you age. There's evidence that poor posture affects our mental well-being as well. Sluggish concentration and mood swings have been attributed to poor posture. - by James B. Lavalle, R.Ph.,C.C.N. Calcium levels mean much more than having strong bones. Best-selling author and nationally acclaimed health guru James Lavelle discusses the highs and lows of calcium -and what it means to your overall health. Learn what your blood test reveals and how to correct your calcium levels. 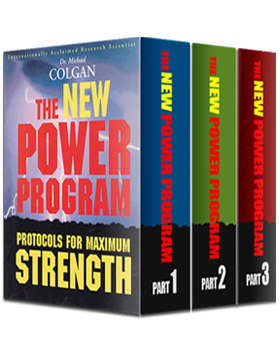 Part I of this 3-part internationally acclaimed Best Seller by Dr. Michael Colgan. 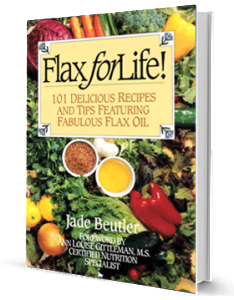 101 delicious, kitchen-tested recipes using flax oil with all its healthful benefits. 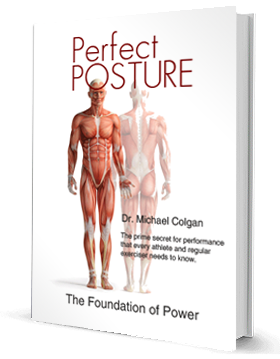 Dr. Michael Colgan explains why the right posture is the foundation of strength. 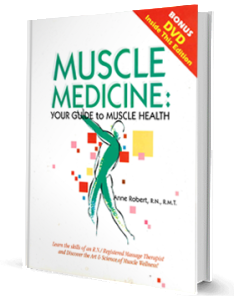 An illustrated guide to muscle wellness written by a Registered Nurse and Registered Massage Therapist. 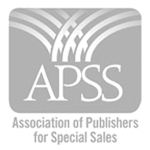 More health books and articles by best selling authors are added each and every month. Subscribe today and LOCK IN your subscription rate for the lifetime of your membership. 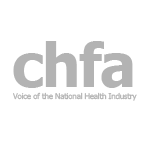 The contents of this site are for those wishing to explore natural alternatives to health and well-being and avoid the possible side affects of conventional drug therapies. 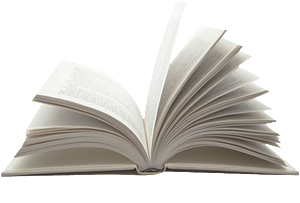 The information within these pages is diverse and the opinions, as in all intellectual pursuits, can vary. Readers are urged to research all health issues thoroughly and seek the advice of their personal health care professional(s) before making any changes to any health care program. Healthy Living For Healthy Readers! © HealthyReaders.com | All rights reserved.